Sometimes, excelling on social media also takes a willingness to stretch beyond your brand’s comfort zone to fully tell a story. And that, at the end of the day, is the reason hundreds of millions of users log on to their Facebook, Instagram and Snapchat accounts. We all want to be told stories. To be shown, rather than told, about ways in which everyday people are making the world a better place for current and future generations. Social media has that power, and perhaps more so than any other medium, if it’s done right. Below, we explore four energy companies that have stepped up their social media game. Each one provides a takeaway worth spending some time with as you evaluate your brand’s own social media success. DC Water: DC Water’s social media accounts highlight the power of going outside a comfort zone and developing a brand personality. The utility carefully mixes humorous content, community highlights and stories of real-life people across their social media channels. The brand takes a not-so-exciting but fundamental aspect of everyone’s life—municipal water—and crafts a story worth paying attention to. Importantly, the social media accounts also engage customers and build relationships by featuring content from platform users. Key takeaway: Curate your brand’s voice and personality on social media to boost engagement and build relationships. Duke Energy: Upon visiting Duke Energy’s social media accounts, the first thing you may notice is the brand’s large following (11,400 followers on Instagram and well over 200,000 on Facebook). What we notice is the use of quality video to tell stories. The brand has clearly made an effort to engage with customers and followers through the use of video, a social media trend that audiences are clamoring for. In a recent HubSpot study, 54 percent of consumers across industries stated that they wanted to see more videos from the brands they follow on social media. Key takeaway: Invest in video to tell your brand’s story on social media platforms. Tennessee Valley Authority (TVA): Scroll through TVA’s social media accounts and you will get a sense of how important community is to this utility company. The accounts all feature content highlighting the different localities the company serves, portraying a sense of uniqueness and authenticity that keeps you engaged. Whether it is behind the scenes at the Bassmaster Classic on the Tennessee River, historical photographs or a presentation in a local third grade classroom, the content delivers a genuine, positive feeling that TVA is an integral part of the community it serves. Key takeaway: Use social media to show rather than tell how utilities and energy companies are a fundamental part of communities through the nature of their day-to-day operations. Schneider Electric: Schneider Electric understands the power of speaking to different audiences on different platforms. On their Instagram account, for example, one will find a consistent use of the hashtag #SEGreatPeople and visual content highlighting the people (and their stories) who make Schneider Electric work. On LinkedIn, content that resonates well with B2B audiences is prevalent. Also on LinkedIn, the company ensures an authentic thought leadership presence through regularly published content from the company’s executive leadership team. Key takeaway: Own the space that you’re in with content created specifically for different social media platforms, whether that means creating a brand-specific hashtag or publishing a thought leadership series on LinkedIn. While communicating with energy customers can sometimes present challenges unique to a dynamic and rapidly evolving industry, energy customers are the same as every other social media user in that they want to be told a story. Better yet, they’re already on social media and are ready and waiting for your brand to tell them that story through your content. 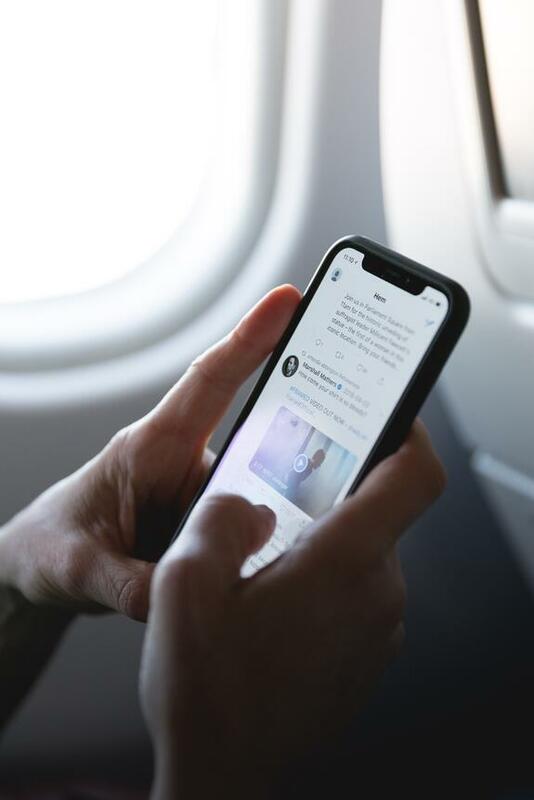 So...are you telling stories that captivate your audience by regularly employing some of the above best practices in your brand’s social media content? Think your brand’s social media strategy has some room for improvement? Unsure where to go from here? We’re just a phone call, email or tweet away.